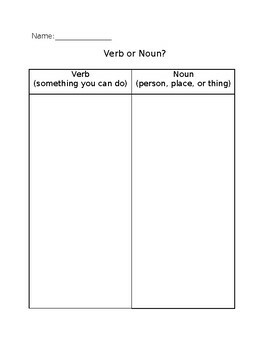 Worksheet that goes along with the Verb or Noun Task Cards. Reinforce your students' knowledge on what verbs are with this first grade-friendly sort. Editable words on page 2.